Planner journey with Lindsay Bateman – the finale! Wow! So here we are…. 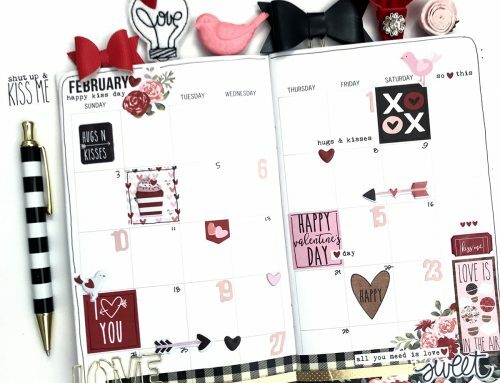 We have reached the 12th month in our planners. The month of December. A year almost complete. It really is amazing when you look back at all of the moments and memories we have made in these little albums. I hope you have enjoyed these posts as much as I have had in both creating, writing and sharing them with you all. Before I begin, there is a little back story to my pages this month. More like a REAL LIFE back story. You know, when you have all these amazing plans in your head and are ready to take on December like a warrior? But then….ALL of your plans get derailed because your entire household comes down with a massive cold and flu? Including myself? Yep…that was our December. As the days passed….so did our opportunities and we just did not get to doing most (if not all) of what I wanted to accomplish. However, you know what? It is OK. I documented what I could and I am really happy about that. If anything the sickness that plagued our home almost made me relax a bit more and enjoy the simplicity of the season. So therefore, my planner this month ended up just being a home for the memories I did get. I decided to just stuff what I could within this month. Even if it was not full, or perfect, or missing a ton of what I had planned. I put in what I could and I am still very happy with the result. I am sharing this story with you because I just really want to reassure you all out there that sometimes we just have to work with what we have and not let it discourage us from what truly matters at the end of the day. Oh well if we missed a few days. Oh well if it's not in order….oh well if we have blank spots! Just enjoy the creative journey. And keep going. I think this is especially important to take into consideration as we are on the brink of closing 2016 and welcoming 2017. This is the time of year to open those blank journals, planners and notebooks. Sometimes we have huge plans for our documenting and life happens and somehow it falls through the cracks. I really want you to know that if you find this happens just keep going! It is ok. We have all so been there. I can reassure you that I probably will be there again many times too! But we will keep going together! Enjoying this creative journey and process :). So here is where my planner took me this month. I really focused on including the photos I did take this month….honestly there were not many! Again..that is OK. I chose to use my Typecast Typewriter to add an almost full page of journaling. 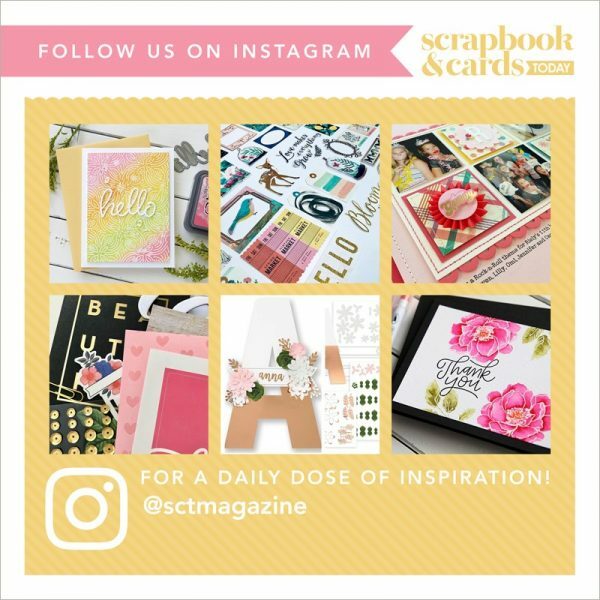 I love how quick this tool is to add journaling and notes onto my pages. 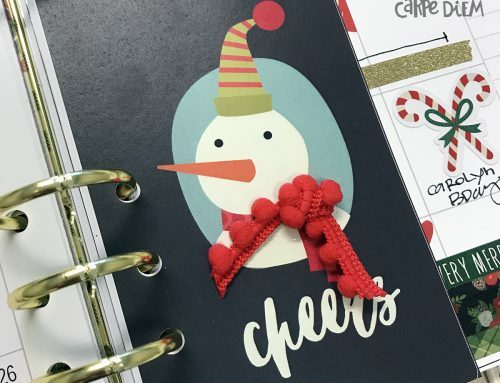 I pretty much summed up our month of December here so that on my remaining planner pages I could just place in my photos and embellish on the remaining pages. 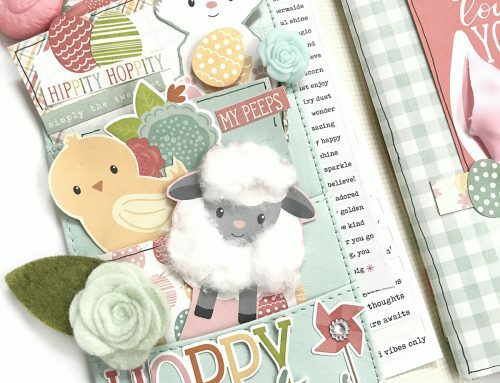 I had purchased the Ali Edwards December Daily kit this year and had full intentions of creating my album! However, that did not end up happening as I had planned so instead the pieces from the kit made excellent additions into my planner. I really love how gorgeous they all look inside. These next few days I might take a bit more time to add in a few extra notes, photos and memorabilia. However, I am content with what I was able to complete and am ready to look forward to January 2017 with a fresh and renewed focus! I am looking SO forward to beginning a brand NEW planner. Definitely one of the best parts of a NEW year! I hope that you are inspired to also join in and use a planner to document and remember your 2017. It is such an amazing way to capture life. Thank you again for joining me each month so I could share a little bit of my heart and passion with you all. It has meant the world and more. Happiest 2017 to you all. I am hoping to really get into my planner very soon. And stick with it through 2017. Thank you for sharing your planner. Great ideas and wonderful inspiration. My new planner is awaiting January 1st to get going! I have out the last week of December 2016 in it to remind me throughout the year that time flies by and that the good times still happen even if life isn’t going great at the moment! There really IS a silver lining in every cloud! Sometimes the best memories come from the bad times! 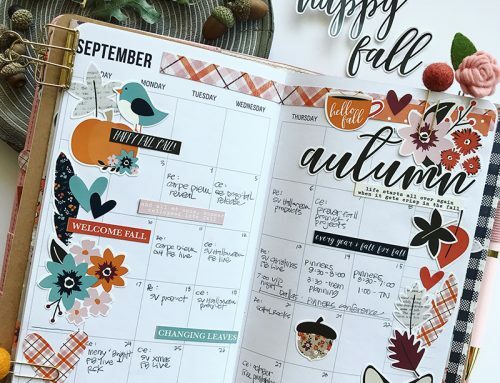 Thanks for sharing your planner journey with us throughout the year! Hope 2017 brings you lots of great memories and love, peace and happiness! Thank you for sharing your planner with us this year! I have really enjoyed all the inspiration 🙂 I’m looking forward to a new year if memory keeping! I love the inspiration and all the great ideas!! Thank you SO much for sharing your planner with us!! Happy New Year to you and all the staff!